A seat on Penn State’s Board of Trustees that has been vacant since last year has been filled: The state senate yesterday confirmed Gov. Corbett’s nomination of Kathleen Casey ’88 to the board. Casey majored in foreign service and international politics as an undergrad. She’s currently senior adviser for Patomak Global Partners, a D.C.-based firm that provides consulting on regulatory affairs, risk management, and compliance. 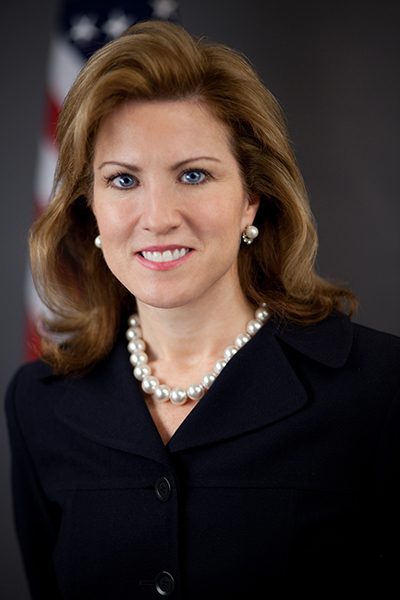 Previously, she served a five-year term as a member of the Securities and Exchange Commission (President Bush appointed her to that role in 2006), and was staff director and counsel to the Banking, Housing, and Urban Affairs Committee of the U.S. Senate. I wrote a bit more about the gubernatorial appointees on the Board of Trustees, including who the others are and when their terms expire, here. Entry filed under: Board of Trustees. Tags: Kathleen Casey, Patomak Global Partners. Yudichak is correct. This nomination should have been put on hold.